Miss Mahjong Contest in Yakuman Daigaku © 1989 Nichibutsu. A beauty contest where the winner is determined by their mahjong prowess. Take that, Miss America! The title of this game translates from Japanese as 'Miss Mahjong Contest In Yakuman University'. 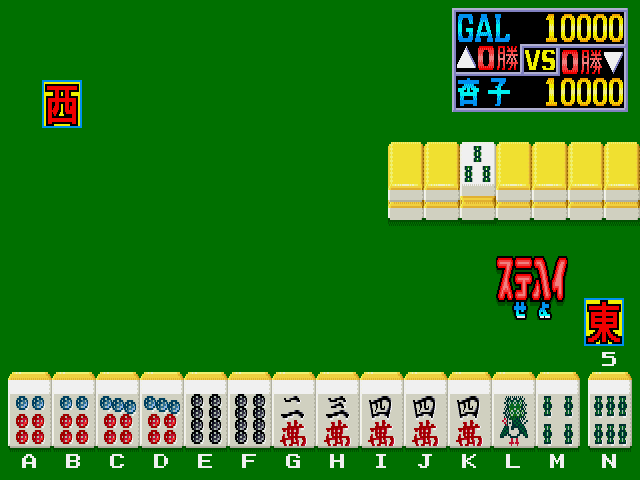 'Yakuman' is a term used in Japanese mahjong to describe the highest-scoring rank of hands.